Taunggyi Time (ေတာင္ႀကီးတုိင္းမ္): Is Burma and Asset or Liability? Impressed by recent developments in Burma, leaders of G-8 countries paid tribute to Burma and had called for enhanced aid to the country, as according to the Camp David declaration. The leaders of the G-8 countries (the United States, Japan, Britain, Germany, France, Italy, Canada and Russia) stress the need to cooperate to further enhance aid coordination among international development partners of Burma and ironically was the only country which was praised by the G-8 leaders which took strong note and expressed concerns over the Iranian, Syrian and the North Korean regimes. But the US House of Representatives, Arizona Congressman Trent Franks urged the Obama administration not to lift sanctions from Burma and many academics activist were visibly disturbed by deliberately ignoring the extreme brutally being carried out its ethnic cleansing policy on a daily basis by the Burmese dictatorship against the ethnic nationalities especially against the Kachin race. One could not comprehend of “Why would the US lift sanctions against a brutal dictatorship that has years and years of documented, horrific human rights violations against the people of its nation” Asked Franks. “The pattern generally has been that as soon as the dictators have received what they wanted from the West or the international community, they have simply gone back to their old ways while the rest of the world stands by and wrings its hands in consternation. Nothing has been done to hold those dictators to account for their actions,” he said. It seems that with the easing of sanctions, the US has given the regime what it wants and has lost any leverage it might have. “It is appalling that a country founded on freedom and democracy has taken steps to deliberately undermine democracy and freedom in Burma and instead has chosen to support a dictatorship bent on absolute control of its people,” Frank remarked. With the lifting of the sanctions that coincides with the global economic crises, was a boon, not only the corrupt Burmese Generals but also for the transnational economic criminals of ASEAN countries that are working hands in glove with them. Now the cash rich Generals in lieu with the international criminal organizations can bargain the financially distress but potentially valuable companies. Now a days large numbers of unemployed experts in finance, accounting, information technology, law and logistics have boosted the supply of world class talent available to criminal cartels and no doubt the former senior generals have an eye on them. In Burma there is already a shortfalls in the funding in arts, education, health care and other important areas which the blood sucking ex general and criminals are only too happy to fill in exchange for political access, social legitimacy and popular support. In fact the international corporate criminals could hardly ask for a more favourable business environment. The quasi civilian government rather stamping out powerful narco barons and gangs, have instead taken over their illegal operation. These officials enrich themselves, their families and friends while exploiting the money, political influence and global connections to expand their own power. Criminals of former army commanders have penetrated government services in an unprecedented level. 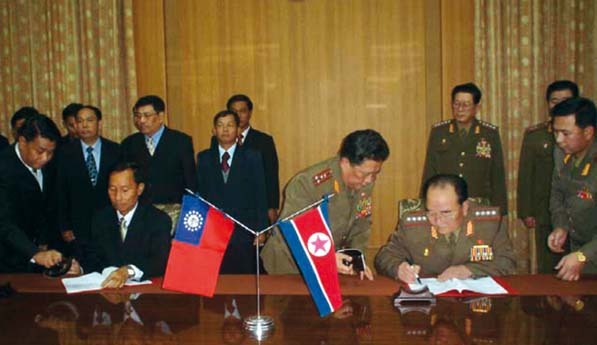 The recent penning of a peace deal with the Shan, Karenni and the existing Wa armies are just some of the classic examples that have a historical record in dealing with narco based economy. Inevitably spy agencies have help them a lot. In a mafia state like Burma high government officials actually become integral players, if not the leaders of criminal enterprises. The defense and promotions of these enterprises business become official priorities e.g. Burma Egress, a German based venture is just one of the examples. Sadly the national interest and the interest of the organized crime are now inextricably intertwined. Because the policies and resources allocations of mafia states, not only Burma, is determined as much by the influence of criminals as by the forces that typically shape state behaviour, these states pose a serious challenge to policy makers and analysts of international politics. 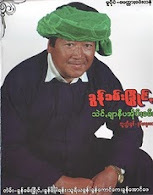 One example is that nobody predicted the change of Thein Sein Administration. This is because Than Shwe and the hard line Generals who were and are all criminals, implement it after meticulous calculations taking into consideration the geo political factors and the international trends. So Burma and the rest of the mafia states defy easy categorization, blurring the conceptual line between states and non state actors. As a result their behaviour is difficult to predict, making them particularly dangerous actors in the international environment. It seems to me that soon all Burmese institutions including the government, parliament and judiciary will be influenced by well organize criminals. In an attempt to maintain their influence regardless of who is in power, organized crime figures donate to all the major political parties. As these figures have expanded into legitimate business, they will attempt to buy their way into corridors of power. It should be noted that soon below the level of government and the leadership of major political parties organize crime will own a number of municipalities and individual members of parliament. The direct participation in politics- as opposed to bribery- is a relatively new development for Burma’s organized crimes. In the past foreign policy scholars generally considered international crime to be a relatively minor problem that domestic legal should handle. The impact of crime they believed, was insignificant compared with the threat of terrorism on the proliferation of weapons of mass destruction. Fortunately, the conventional wisdom is now starting to change. More and more experts and policy makers are recognizing that crime has become a significant source of global instability, especially with the emerging of mafia state like Burma. Almost all the leading Burmese companies inside the country are mafia related especially narcotic drugs and hence even putting aside the alarming prospect of nuclear mafia state like Burma, the governments that are heavily involved in illicit trade might be more prone to use force with their access to profitable markets is threatened. For example Shwe Mann signing the Memorandum of Understanding with North Korea during his 2008 visit to Pyongyang stated that, “We studied their air defense system, weapons factories, aircrafts and ships. Their armed forces are quite strong so we just agreed to cooperate with them if necessary,” Clearly indicating that it had violated UN sanctions that prohibit North Korea from buying and selling missile, weapons or nuclear technology. Besides, Shwe Mann utilized forced civilian porters, including women and children, on a massive scale during operations against Karen insurgents and has willingly participated in the brutal repression of Burmese Buddhist monks. Yet he was welcome in France, Norway and European Union and President Obama has lifted the sanctions and is eulogizing the quasi civilian administration in spite of the US report of gross human rights violations. Has the West gone mad or am I mad? I do hope I am mad, if it saves the world. Increasingly, fighting transnational crime must mean more than curbing the traffic of counterfeit goods, drugs, weapons, and people; it must also involve preventing and reversing the criminalization of governments. Illicit trade is intrinsically dangerous, but the threat it poses to society is amplified when criminal become high-level government officials and government take over criminal syndicates. Generally speaking, today’s law enforcement agencies are no match for criminal organization that are not only wealthy, violent and ruthless but also benefit from the full support of national government and their diplomats, judges, spies, generals, cabinet ministers, and police chiefs. The classic example is Burma. The bottom line is after all how can a country coordinate its anti crime efforts with government leaders or top security officials who are themselves criminals as in Burma and some of the Latin American countries?